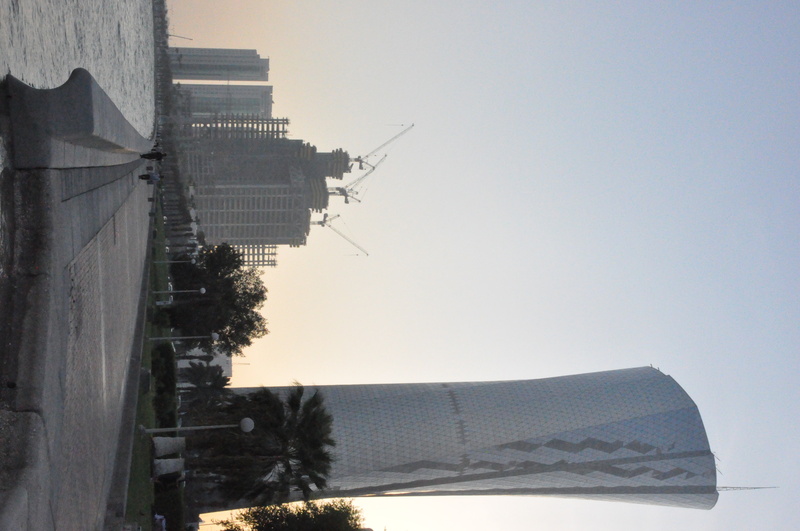 The temperature in Qatar has already reached above 50°C, and humidity reached above 50% causing profits of food industries to drop more than 50%. “We’re experiencing a 80% decline in our profit,” said Mohamed Eid, the Finance Director of Al Khaleejiya, which is a company that owns restaurants, Tajine, Soy and Fairuz. According to Eid, the decline began in the middle of May as soon as the heat and humidity increased. The cause of the steep decline is not just because of the heat and humidity, but also because people are traveling for their summer vacations. Two of the restaurants Eid directs are located in Souk Waqif, one of Qatar’s most admired places due to its architecture, Sheeshah and wide variety of oriental cuisine. Soy and Tajine are one of the souk’s popular restaurants because Soy is the only Southeast Asian cuisine, and Tajine is the only Moroccan cuisine. 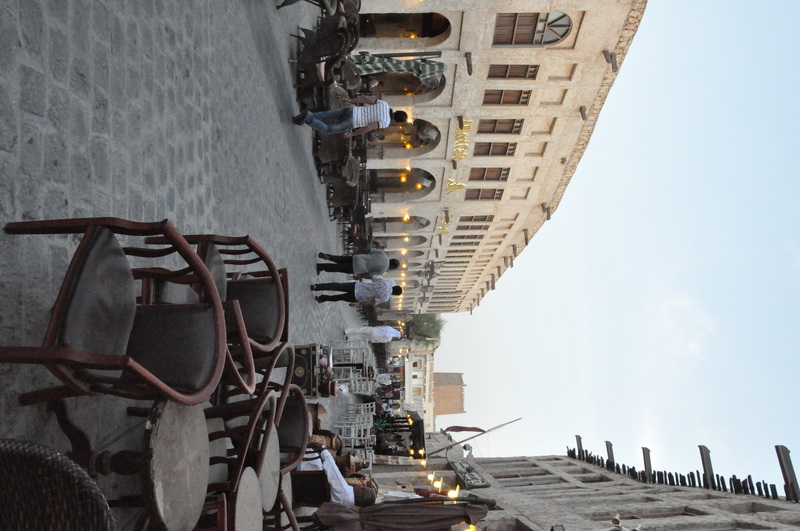 The weather in Qatar according to a daily visitor of Souk Waqif, Noor Ali, does not limit the he places goes to. “Restaurants have proper accommodation for the weather like the coolers,” he said. “I like sitting outside because of the look and the climate. If I sit inside, it’s like any ordinary restaurant.” If Ali is not in Souk Waqif, he either goes to the restaurants in Ramada or Shezan where he usually arranges to meet with his boss. “For Souk Waqif, we depend more on open areas and people depend on that too but the weather is still humid,” said Eid. “Therefore, we put fans, water sprinklers, coolers and something I created called the Cold Fog System.” The Cold System is a cooler that releases fog by adding ice into the tank of the cooler. “Regardless of this machines, people prefer to sit outside because of the Sheeshah,” he added. Eid starts preparing for the summer season in the beginning of May as an attempt to avoid a larger decrease in profits. “Other than the machines, we have promotions to encourage people to come,” he said. Soy holds a Sushi Night every Tuesday. Unlike Haagen Dazs, Baskin Robins, the only other ice cream vendor in Souk Waqif, is experiencing an increase in its income since the month of March. “There’s a slight increase in our profit approximately 12%,” said Bibek Shiwakoti, a Nepali salesman in Baskin Robins. “People like ice cream in the summer.” According to Shiwakoti, ice cream buyers sit inside instead of having a seat outside. One of the popular coffee shops in Qatar located in the Ramada intersection, Coffee Beanery, is experiencing no changes in their profits regardless of the heat and people traveling abroad. “Most people prefer to sit outside because they like to smoke, and we have a unique outlook,” said Egyptian manager, Waleed Azimy. “Because of the weather though, people can’t sit outside for too long so they come inside.” Coffee Beanry has not placed accommodations for people who decide to sit outside because according to Azimy, fans and other cooling machines are useless.